My new client ClubMed certainly likes my work, lovely photos and scroll to the bottom – yes, all 5000 words! I learned so much on my High Points Tour with staff from the Rookery Bay National Estuarine Research Reserve near Naples, Fl. Read and enjoy the photos! The Koreshan State Historic Site is a very unique and interesting place to visit. 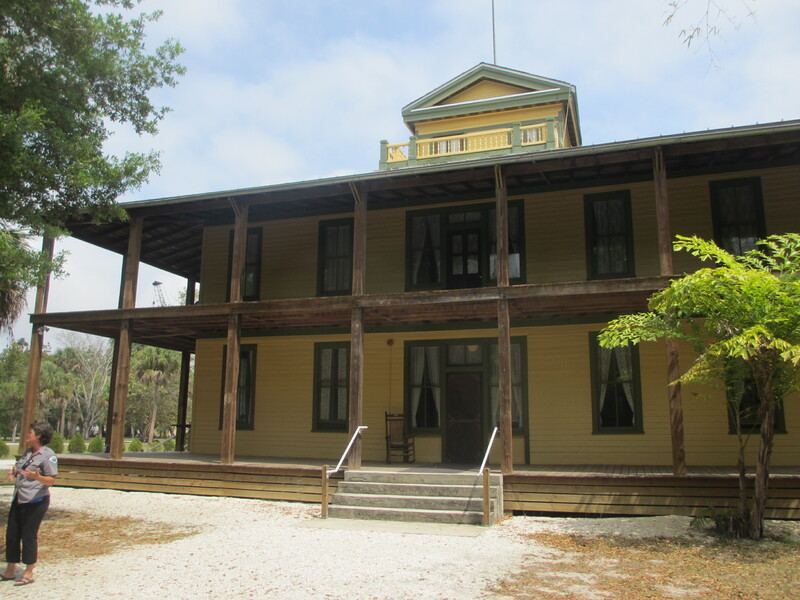 It is the preserved site of a 19th century religious community with 11 original buildings, Victorian gardens, a nature trail along the Estero River, canoeing and camp sites in a 200-acre park. Self-guided tour leaflets and information boards are available, along with volunteer docents, for those who want to tour the grounds at their own pace. However, I can recommend taking a 90-minute ranger-led tour for those wanting to delve into the beliefs of Dr. Cyrus Teed and understand the day-to-day operations of his “New Jerusalem”. Koreshanity began in Estero in 1893 and lasted until 1982 when the last member died. Along with tours, the historic estate hosts the Estero Concert Series which attracts professional musicians and world class opera singers to perform in the atmospheric Art Hall. It also offers re-enactments and ghost walks at Halloween which are well worth attending. Koreshan is located at the intersection of US 41 and Corkscrew Road at Estero. From I-75, take exit 123 (Corkscrew Road) and head west 2 miles. Cross US 41 and continue along Corkscrew Road about ½ mile to reach the entrance to the park. At the entrance and ranger station, pay the admission and book a place on the next guided tour if you want a ranger-led experience of the historic site and gardens. The tour meets just off the car park outside the Art Hall, where a huge swamp mahogany provides shade from the Florida sun. The tour begins in the beautiful Art Hall which is still used for public concerts as in the days of the Koreshan Unity Settlement. The hall is filled with artworks by former Koreshan members and by Dr. Teed’s son, Douglas Arthur Teed, who became a well-known landscape and portrait artist in New York. 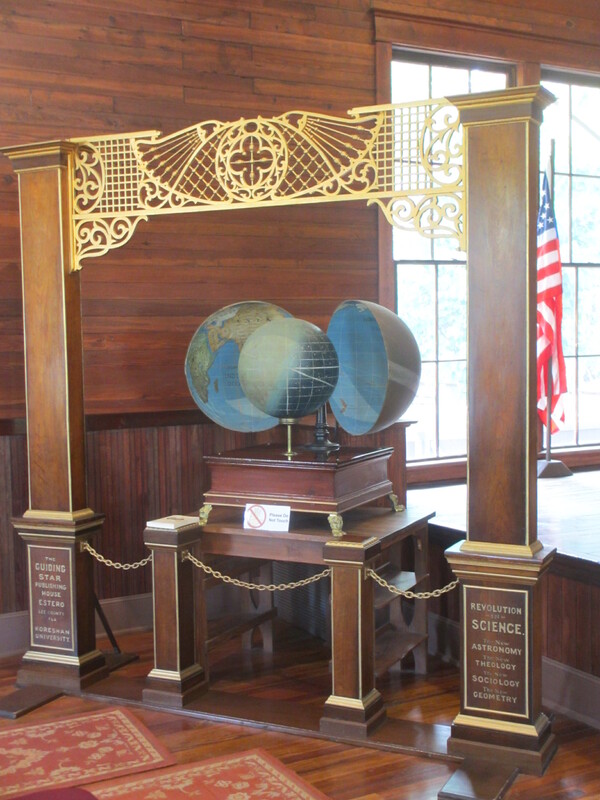 The most remarkable exhibit is the globe which shows the world as we know it, but on the inner shell of the earth’s outer atmosphere, as Dr. Teed believed it was. We followed our knowledgable volunteer guide, Mila, along the crushed shell paths passing Orchid Trees in full bloom, a Sabal Palm with cacti growing on the trunk, and finally reached the cherry orchard just outside the Planetary Court building. Here we learnt more about Dr. Teed and his “illumination” in 1869 which led him to Chicago and then to Estero to found his Koreshan Unity, the word “Koreshan” being Persian for “shepherd”. His new order followed a mix of Old Testament, Far Eastern ideas, reincarnation and Teed’s own scientific beliefs. His ultimate aim was to define the universe through science. About 3,000 members lived outside the settlement with their families while up to 300 others chose to join the religious order at Koreshan, which required giving their property to the community and living celibate lives onsite. The followers were hard-working people and the community was self-sufficient, even providing services to the outside community. They valued education and the arts and had their own drama group and 17-piece orchestra which performed public concerts. The three-story Planetary Court is a fine example of Georgia Foursquare architecture, built in 1904. The cream clapboard house with its shady front porch was home to the Seven “Sisters” who provided much of the original finance Teed required to establish his community and saw to the day-to-day business of the settlement. Each lady had her own simply furnished room and a caretaker looked after them and lived at the top of the house, in the cupola. We admired the ornate craftsman-built staircase made of beautiful date pine, and learned that there were no baths or kitchen in the house as the Sisters ate formally each evening at the communal dining area. All the buildings are on the National Register of Historic Places, but there was never a church on site. We peeped inside the bakery which once made up to 600 loaves a day – the yeast bread was in great demand locally as it was so much tastier than the local cornbread. Other buildings include the two-room Vesta Newcombe building, final home to Vesta who arrived at the community as a child and lived here until her death in her 90s. We also saw the industrial area with a huge oil-driven generator which powered band saws and machinery in the neighboring machine shops as well as providing power to the surrounding outlying farms. The Koreshan Unity was totally dependent upon Dr. Teed and after his death in 1908 many followers became disillusioned when his teachings about his resurrection were not fulfilled. 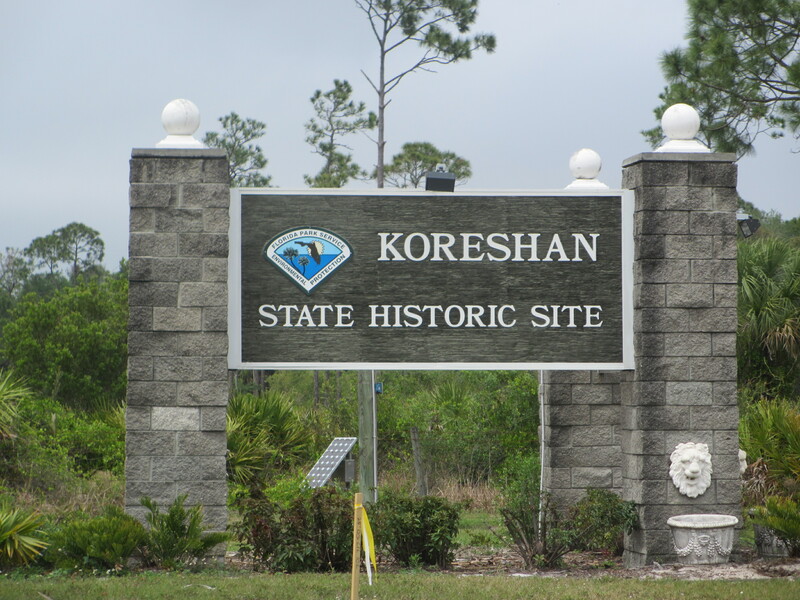 Eventually the Koreshan community, its archives and substantial acreage were donated to the state of Florida, in 1961. The final part of the tour took us through the gardens where there are many specimen trees sourced by Dr. Teed on his travels all over the world. Look for the huge Australian Monkey Puzzle Tree, the exotic flowers on the Bombax (red silk cotton tree), the Ear Tree and the African Sausage Tree. Fruit trees, pecans, magnolias and lovely red pineapples with their exotic pink fruits can be enjoyed as well as more common azaleas and palms. Landscaped mounds make a popular place for the burrowing Gopher Tortoises and two decorative bridges were an interesting highlight. Massive Washingtonian Palms planted in 1896 line the Grande Promenade which is visible from the Bamboo Landing. 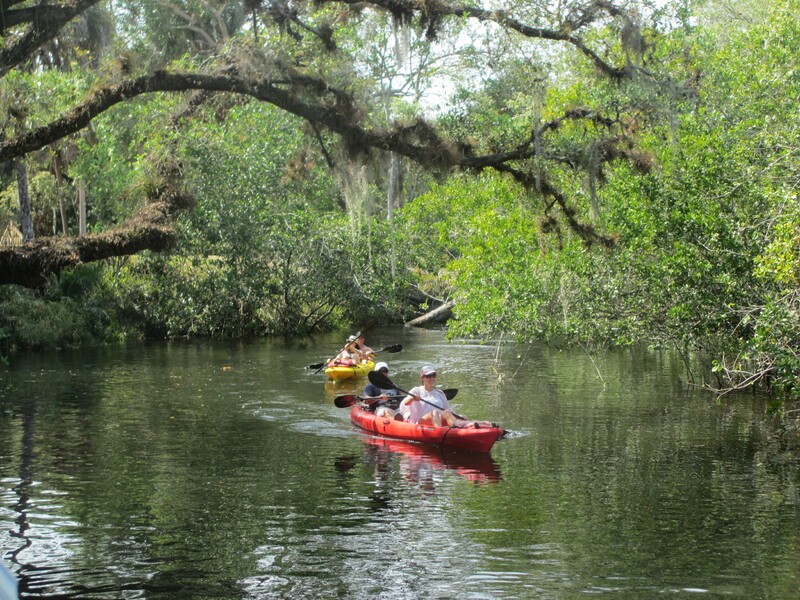 Here we saw many canoeists paddling in the clear shallow waters of the Estero River, which was the main access to the settlement before US41 was paved. This area is the start of the Nature Trail, a pleasant 30-minute walk along the river, through immense bamboo stands and the picnic area to end at the boat ramp. Having done it, I would recommend going out and back along the river trail which is a much more pleasant than returning on the park roads. Otters, herons, bobcats, foxes, alligators, snakes and a variety of birds of prey all make their home in the park. Our tour ended at the Founders House, built for Cyrus Teed in 1896 and surprisingly comfortably furnished. There is an interesting display of old photographs of the Koreshan community in its heyday and an informative PBS film gives more background detail to this short-lived religious sect. Guided tours can also be scheduled in advance on request. Fancy a Day Out in St. Augustine? Many people complain that Florida has no real history. It’s true, it does not have much compared to Europe, but the history it does have is very impressive. For example, did you know that America’s oldest continuously occupied settlement is St Augustine in Florida? This lovely city has a relaxed ambience and is full of history and old world charm. The historic streets, Spanish-style architecture, Bridge of Lions and quaint shops along St George Street make this a delightful place to spend a day. The historic quarter includes America’s Oldest Wooden Schoolhouse, colonial dwellings and the old City Gates. St Augustine is a truly historic city with many attractions, a fortress, museums, historic houses, and beautiful architecture in the heart of the city. It was founded in 1565 by Pedro Menendez de Aviles on the feast day of St Augustine, and this is how the city got its name. In 1702, it burnt down and was rebuilt in the shadow of the huge Castillo de San Marcus. Many of these 300-year-old buildings can still be seen today, lining the pretty, narrow streets of the historic district. In 1883, railroad magnate Henry Flagler visited St Augustine on his honeymoon. He was so impressed with the area that he built the grand Ponce de Leon Hotel in 1888, now the centerpiece of Flagler College. 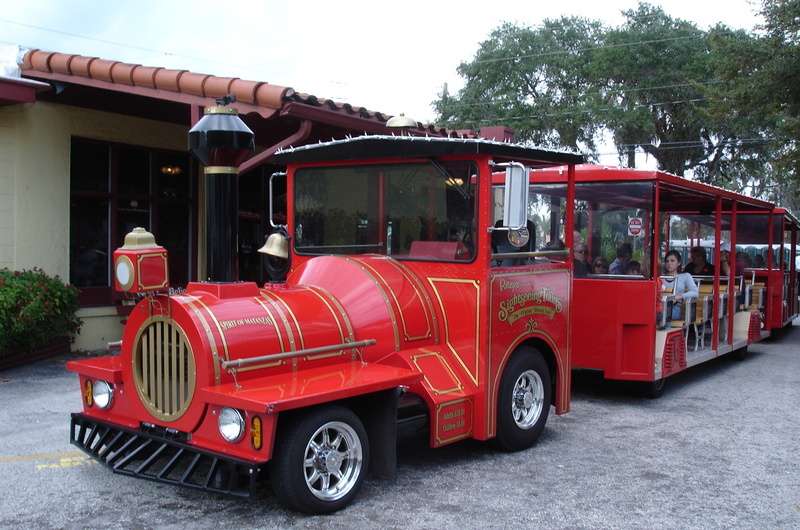 Wealthy visitors began to follow his example, traveling by train to Florida’s East Coast and soon St Augustine was a popular tourist destination, as it continues to be today. Visitors will find St Augustine is a charming and unique city. It is quite compact and easy to walk around with plenty of lovely pavement cafés and high-end restaurants. Trolley tours are a great way to learn about the main historic sites with an informative guide. Stroll to the old fort, the Castillo de San Marcos, which overlooks the Intracoastal Waterway spanned by the Bridge of Lions. The fort is a National Monument, managed by the National Park Service. Visitors can walk the casements, watch videos, view re-enactments and weapons demonstrations, or take an interpretive walk with a ranger. Take a ghost tour of the city or visit the incredible Ripley’s Believe It or Not! attraction nearby, which is interesting for all ages. Enter the Old City Gate and wander along the cobblestone streets to the Plaza de la Constitution. Explore the Colonial Spanish Quarter nearby with its charming higgledy-piggledy buildings, including America’s oldest wooden schoolhouse. A massive chain encircles this cypress and red cedar building and anchors it to the ground during high winds! This traffic-free area has a collection of historic buildings and small shops selling ice cream, chocolates, gifts, and antiques. Some of the interesting attractions include the Spanish Quarter Museum which has seven reconstructed buildings with costumed interpreters demonstrating crafts and skills from the mid-18th century. In contrast, King Street is the heart of the more modern city. Lined with beautiful Spanish-influenced architecture, it is very pleasant to stroll along and admire the buildings such as Government House with its Spanish-style loggias and Zorayda Castle with its Arabic motifs, a replica of the fabulous Alhambra Palace in Granada, Spain. Further along King Street, the Hispanic-Moorish building that was once the Alcazar Hotel now houses the impressive Tiffany glass and antiques of the Lightner Museum collection. One-hour tours of the Ponce de Leon Hall are well worth taking to see inside this lovely Spanish Renaissance-style building. 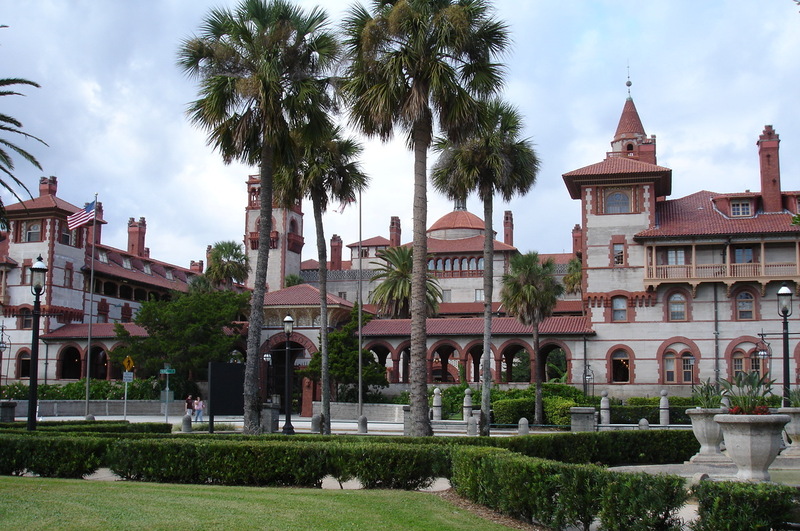 It was constructed in 1888 as the Ponce de Leon Hotel and is now a National Historic Landmark, part of the Flagler College campus. It was designed by architects John Carrere and Thomas Hastings, who went on to build New York Public Library and the House and Senate buildings in Washington D.C. It features Tiffany designed mosaics, stained glass windows, and beautiful murals by George Willoughby Maynard and Virgilio Tojetti. You can just imagine that it was quite a wonderful place to stay in its time and was one of the first hotels in the country to have electricity. The grounds are also very pleasant to stroll around. There are several beaches around St Augustine including the white sands of Anastasia Island, just five minutes from downtown. It has a pier, playground, pavilion, cafés, and shops. Crescent Beach is also on Anastasia Island, a wildlife refuge with a natural setting that is popular for beachcombing. Vilano Beach is said to be the area’s best kept secret with waterfront restaurants, a fishing pier, parasailing, and SeaDoo rentals. 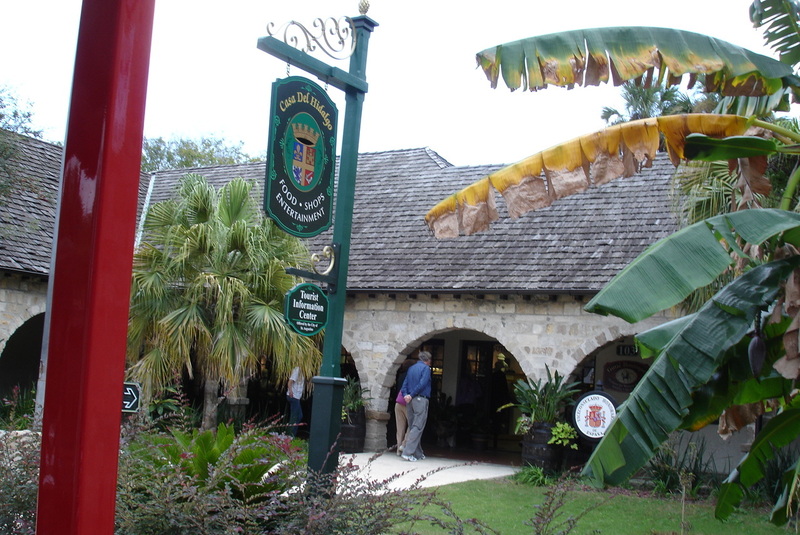 St Augustine as a city is free to visit but various attractions charge admission/tour fees. Just along St George St there are a number of sidewalk cafés offering everything from coffee and cakes to sandwiches and light lunches. For a more substantial meal in nice surroundings, try the Aviles Restaurant in the Hilton Hotel on Avenida Menendez. It has an international menu including some Spanish specialties as a nod to this Spanish-influenced city. 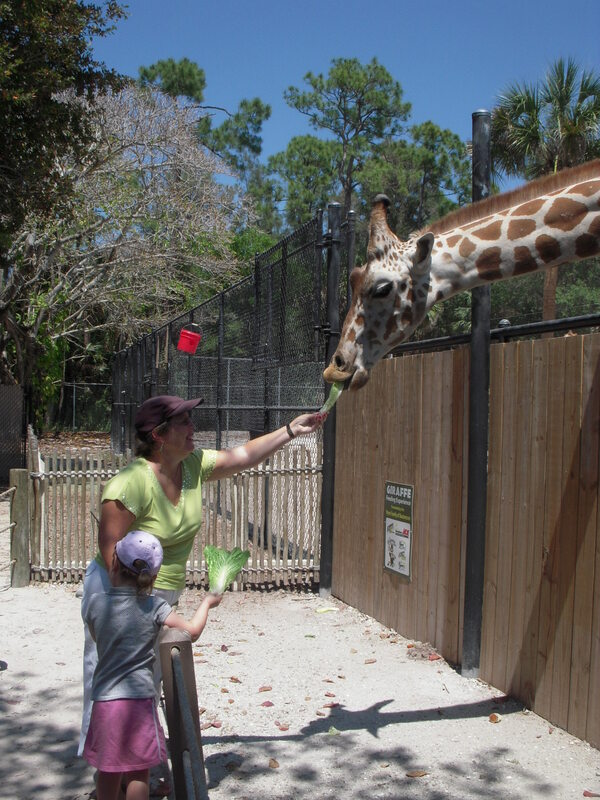 Brevard Zoo advertises itself as a little zoo that does big things, and it’s true. The emphasis at the zoo is on experiencing a variety of wildlife and having some unique adventures, all reinforcing a message of Conservation through Education and Participation. As well as a range of interactive wildlife experiences and adventures, the zoo offers a self-guided aerial obstacle course with zip lines as part as part of the separate Treetop Trek. This modern well-planned zoo is set on 50 acres and has over 500 animals with 130+ different species. The animals are divided into various “lands” such as Expedition Africa, Australia and Asia, Wild Florida, La Selva Rainforest and Paws On. Feeding the giraffes is one of the highlights in Expedition Africa as they approach and extend their long necks to take the offered leaf, displaying their long black tongue. Rhinos, antelopes, camels, impalas, cute lemurs, exotic birds and gangly ostriches can all be seen in this exciting area. You will find some of the world’s most unusual animals in the Australia Asia land where kangaroos and wallabies bound around. 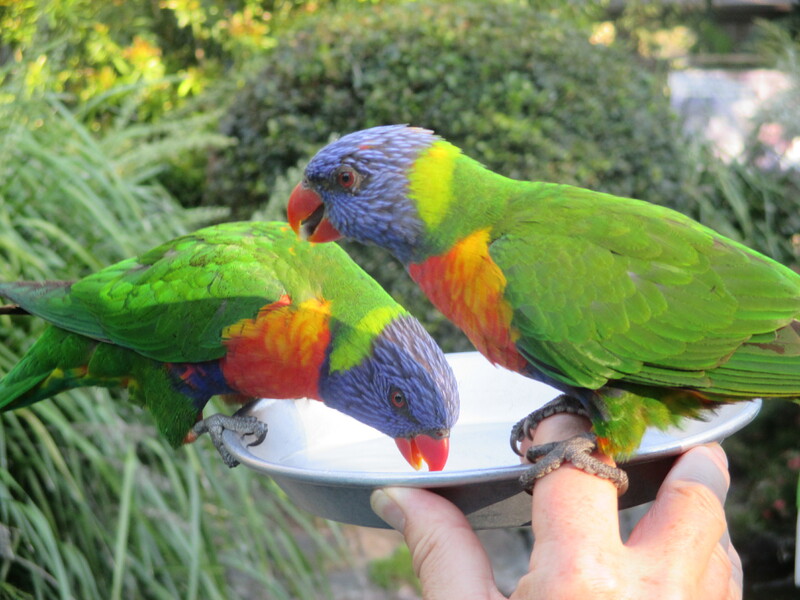 Colorful cassowaries, plump kookaburras and squawking parrots make a lively display and there’s also the chance to hand feed the brightly colored rainbow lorikeets. Gibbons from Asia can also be seen swinging from trees and generally showing off to visitors. Wild Florida is a home-from-home for the alligators, crocodiles, flamingoes, otters, wolves, turtles, Sandhill cranes and birds of prey that make this zone their home. The best way to discover them in their natural environment is by kayaking across the wetland area. Monkeys, vultures, beautifully coated jaguars, scaly anteaters, sloths, tapirs, tamarinds, tortoises and toucans abound in the South American La Selva zone. Paws On provides more interactive animal experiences with a Lagoon Aquarium, Turtle Beach and Upland Area where gopher tortoises hang out. Pet some of the animals, help construct an animal home or dig for clues in this fun area. There’s the chance for visitors to……..
What is it and will you be brave enough? For the answer to those questions I am afraid you will have to check out my book “Days Our Around Cocoa Beach” available in all formats. It also has 14 other great places to visit from Daytona to Orlando to Melbourne – so what are you waiting for? Ybor City is the former Cigar Capital of the World, thanks to one enterprising businessman, Vincente Martinez-Ybor. 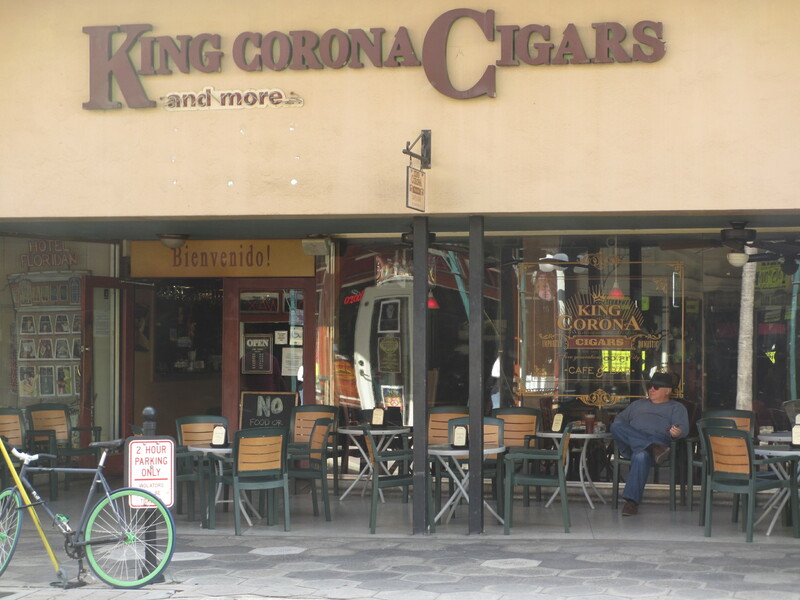 He established his cigar-making business in this historic quarter of Tampa in 1885. 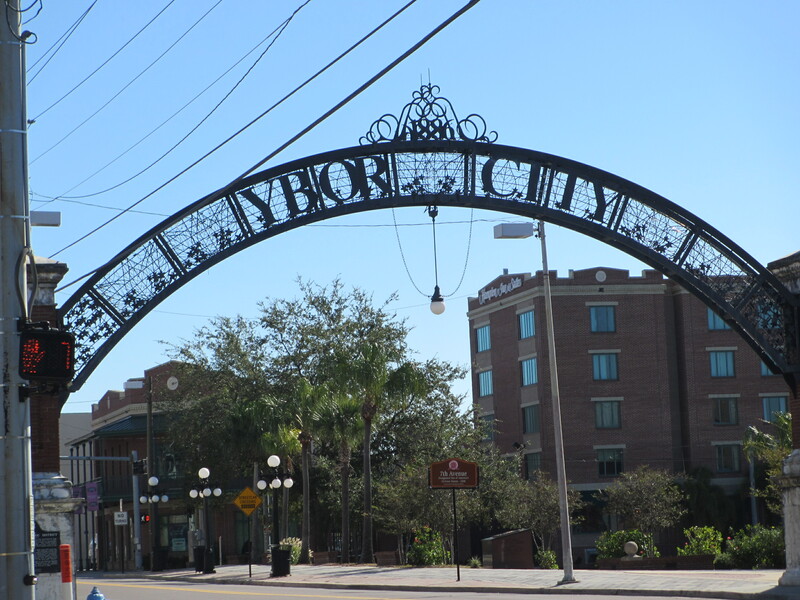 By 1927, Ybor City had 230 factories and was producing over 6 million cigars per year! Enjoy a pleasant amble around the quiet cobbled streets on a historic walking tour, learning about the enterprising individual responsible for founding the city which still bears his name and discovering the decorative Spanish-influenced architecture in the area. The tour lasts around 1¾ hours and is led by a long-time local guide and eloquent storyteller, Lonnie Herman. The tour strolls along at an easy pace between shady spots and strategically placed street benches as the fascinating history of Ybor City unfolds before your eyes. 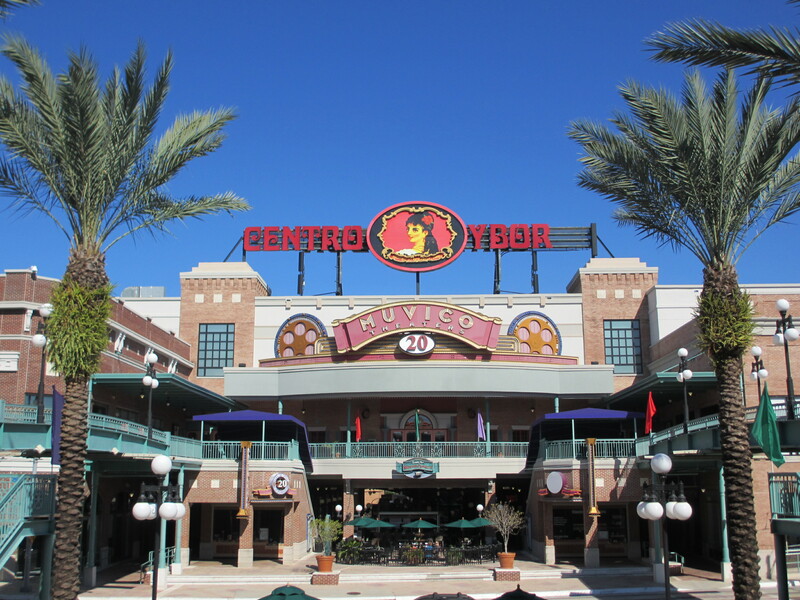 On arrival in Ybor City, you may be surprised at how quiet this area actually is, particularly outside the winter season which runs from December to April. However, the area is at its liveliest at night, hence so many nightclubs along the street. By day there is the excellent Visitor Center along with cigar shops, tavernas, cafés and restaurants where you can enjoy coffee or lunch. The area certainly has a lot of character with the original cobbled streets, decorative New Orleans-style architecture, fountains, and a beautiful arched entrance to Centro Ybor. Meet up at the entrance to Centro Ybor with your Cuban-hatted guide, Lonnie, who has been a local resident for over 30 years. He is a friendly walking encyclopedia of local history and experiences! Lonnie begins to tell the story of Ybor City circa 1885, with the colorful background to Vincente Martinez-Ybor’s life. Born in Spain, he was sent to Cuba where he learned the cigar business before escaping to Key West where he built his cigar-making empire. Better transport connections, financial incentives, his good friend Gavino Gutierrez, and the chance to build his very own city eventually lured him to Tampa where he established “Mr. Ybor City.” Martinez-Ybor’s attempts to secure a reliable workforce led him to build workers’ homes and offer ownership on very favorable terms, especially as he was already in his late 60s! As your guide recounts the story of cigar-making and the building of Ybor City, the walking tour meanders along the cobbled streets at an easy pace, stopping to view some of the earliest wooden homes, called “casitas”. They are now part of the National Historic Landmark District which covers 10 square blocks. On the wall of each house is……. Can you guess what it is? No, then solve the mystery by reading this and 14 other great things to do in my book “Days Out Around Clearwater and St Pete Beach” available in all formats. Most people interested in space travel will want to spend a day at the Kennedy Space Center during their stay on Florida’s Space Coast. However, there is another way to take a tour and learn more about American space history. The 45th Space Wing of the Patrick Air Force Base (AFB) conducts free public tours by bus around the Cape Canaveral Air Force Station, Air Force Space and Missile Museum, several launch pads and the historic Cape Canaveral Lighthouse. The only catch is that these three-hour guided tours are very popular, so you need to book at least 60 days ahead of your planned visit. 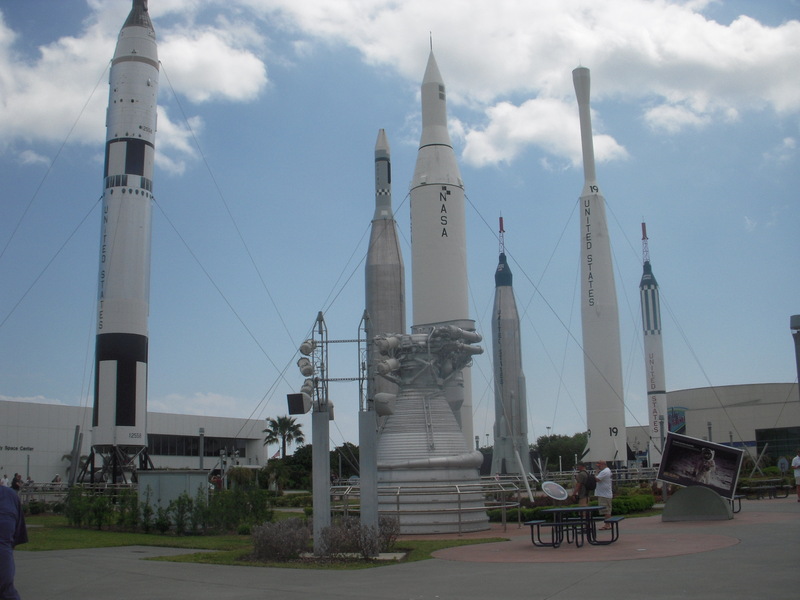 The History Center is part of the Air Force Space and Missile Museum and has exhibits about the different launch pads and complexes onsite. After a short talk, the tour progresses to the main part of the Air Force Space and Missile Museum. Here you will see many fascinating displays of …………….. If this has re-kindled [pun intended!] the space kid in you then you may like to read the rest of the chapter along with the 14 other exciting places to visit whilst at Cocoa Beach. All of which can be found in my book “Days Out Around Cocoa Beach“. Enjoy!